Confortable and well locatedsubmitted by David M. - Dec 18, 2017 |Recommended: YesConvenient for its perfect location to everything, looks good and has everything I need. Good staff and maintenance team. I like the property. submitted by Ambrose M. - Jul 20, 2015 |Recommended: YesI like the property. response from property - Jul 21, 2015 We are glad you like it here!! Thank you for being such a great resident! Happysubmitted by John W. - Jul 20, 2015 |Recommended: YesFantastic front office, excellent maintenance service, adequately priced, good appliances. response from property - Jul 21, 2015 Thank you for posting this review! We are glad you like living here! Great place to livesubmitted by Melissa S. - Jul 01, 2015 |Recommended: YesOverall, this property is a great place to live. The apartments have beautiful dark hardwood and the amenities are new and beautiful. Huge bathroom, lots of closet space, and relatively low prices compared to other complexes in Uptown. Downside being the walls are thin and the hallways get warm humid during the summer months, which attracts a lot of bugs that can sneak into the individual apartments. One of the best places I've lived. Convenience is the key factorsubmitted by Ryan B. - Jun 17, 2015 |Recommended: YesTop floor, floor-ceiling windows, huge curved balcony overlooking 200 degrees of downtown and uptown. Pretty hard to beat. And happy to be conveniently located to so many places, including my gym and grocery store. Staff is very approachable and caring. Maintenance is quick and efficient. 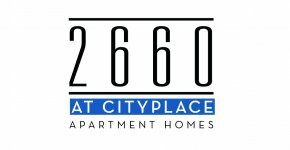 response from property - Jun 18, 2015 Ryan, We are glad to hear that you have enjoyed your living experience here at 2660 Cityplace! Thank you for the kind review! Property is kept in good condition, staff is nice, and it is in a good locationsubmitted by Scott B. - May 03, 2015 |Recommended: YesThe property is in a good location, clean, and the staff is helpful and friendly. Great location, staff and apartmentsubmitted by Corey O. - May 01, 2015 |Recommended: YesNever had an issue in the 12 months I lived here. Living next to a Kroger was fantastic. Maintenance was never late. Staff was nice and friendly. The apartment had great appliances and floor plans. Leaving because there's no green area for a dog. Great Place, Staff is Wonderfulsubmitted by Joseph H. - Sep 30, 2014 |Recommended: YesThe change of management brought a world of difference 2660. The Management and staff are GREAT! Perfect location. Love it submitted by Tammy - Aug 28, 2014 |Recommended: YesLove this place Convenient, friendly, quiet...love having Kroger s next door The high ceilings make every room seem bigger. Big bathrooms and closets. Very clean and well maintained. Major plus...very easy to move into with big hallways, elevators, and concrete floors Won t move out until I absolutely have to. Great community with great walkability! submitted by Joseph M. - May 31, 2014 |Recommended: YesIt's well kept, has great amenities, and who can beat being able to walk to the grocery store. I like Cityville a lotsubmitted by Steven G. - Feb 06, 2014 |Recommended: YesKeep the monthly social event going.